PRO Real Estate Investment Trust (PROREIT) continues to raise funds and make transactions, and it’s now in its most liquid position since launching in March 2013. “We’ve always talked about a clear strategy of being a commercial REIT that’s fully diversified geographically and by commercial sector,” said president and chief executive officer James Beckerleg. PROREIT (PRV.UN-X) recently closed a $21.8-million equity offering it intends to use to: partially fund announced and future acquisitions; fund expansion and redevelopment initiatives at new and existing properties; repay some debt; and provide for general business and working capital purposes. “It gives us liquidity in a relatively tight commercial real estate market to react proactively on opportunities,” said Beckerleg. PROREIT has announced several acquisitions in recent months, including four freestanding retail and convenience properties in Quebec totalling approximately 13,800 square feet of gross leasable area for an aggregate price of $9 million from Groupe Mach. They’re completely occupied with a weighted average remaining lease term of 7.6 years, with tenants including McDonald’s, Tim Hortons and Couche-Tard. The deals are expected to close in the second half of the year. PROREIT signed a binding agreement to sell for $22.3 million two industrial buildings in Etobicoke it had acquired in June 2015 for $20.1 million. The deal is expected to close soon. PROREIT made improvements to the two properties, which were 100 per cent leased and total approximately 298,000 square feet of gross leasable area. “As a general rule, we’re not sellers of properties,” said Beckerleg. “The GTA is a very tight market and we had unsolicited expressions of interest in those two properties. Some of the funds from the sale will go toward $40.4 million of proposed acquisitions in Ontario and Atlantic Canada expected to close in the second half of 2017. The properties, built in 2007 and 2009 and totalling 456,000 square feet, have 28- and 30-foot clear ceiling heights. They’re completely leased to seven national or multinational tenants with excellent covenants and have leases ranging in size from 26,000 to 132,000 square feet. The vendor of the Woodstock properties is a limited partnership in which two PROREIT trustees, Peter Aghar and Shenoor Jadavji, have an aggregate economic interest of approximately 25 per cent. Two corporations respectively controlled by Aghar and Jadavji control the vendor through their ownership of the general partner of the vendor so the transaction will have to go through a regulatory process before it’s approved. 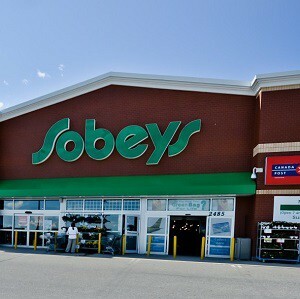 PROREIT has entered into a binding conditional agreement to acquire a freestanding retail property in Saint John, N.B., for approximately $4.8 million. It was developed in 2016 and is completely occupied by a provincial crown corporation under a lease with a remaining term of approximately 15 years. PROREIT has also entered into a letter of intent and expects to sign a binding conditional agreement for the acquisition of a light industrial property for $5.7 million. While the REIT has indicated it’s well-located and fully leased to a good quality tenant, it hasn’t released further details. The two Atlantic Canada properties are a combined 90,600 square feet. PROREIT has identified four properties that offer expansion potential with both existing and new tenants, including the fit-out of currently vacant space and future pad development. This includes building new pads at two properties in Miramichi, N.B., that will add a total of 6,400 square feet of gross leasable area. Lease agreements have been signed with Subway, Rogers and CARA. PROREIT intends to use $2.5 million of the proceeds from the recent offering to fund construction costs associated with the square foot optimization projects, which are expected to generate a weighted average return on invested capital of more than 11 per cent. Beckerleg said PROREIT has an “active pipeline” and is looking at potential acquisition opportunities in primary and secondary markets in Quebec, Atlantic Canada and Ontario. PROREIT acquired six properties in the fourth quarter of 2016 and a 50-per cent share in a Drummondville, Que., industrial property in February, which contributed to property revenue increasing by 32 per cent from a year earlier to $7.48 million in its first quarter ended March 31. Net operating income increased by 31.5 per cent to $4.5 million during the same period. PROREIT had a market cap of approximately $119 million as of June 20.